Police are appealing for witnesses and information after a large amount of jewellery was stolen during a burglary at a property in Caistor. The incident, at a property in Hansard Crescent, was reported to police at 4pm on Friday, July 17, and is believed to have happened at some time since 7am that morning. Offenders forced open a ground floor door and a large amount of jewellery was stolen from inside. Anyone who may have any information in relation to the burglary, or anyone who saw or witnessed anything suspicious in the area is asked to contact police. Anyone who has any information in relation to the stolen jewellery is also asked to get in touch. 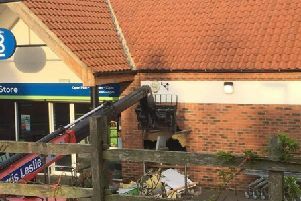 Contact Lincolnshire Police on 101 quoting incident 291 of July 17, 2015. Alternatively contact Crimestoppers anonymously on 0800 555 111.